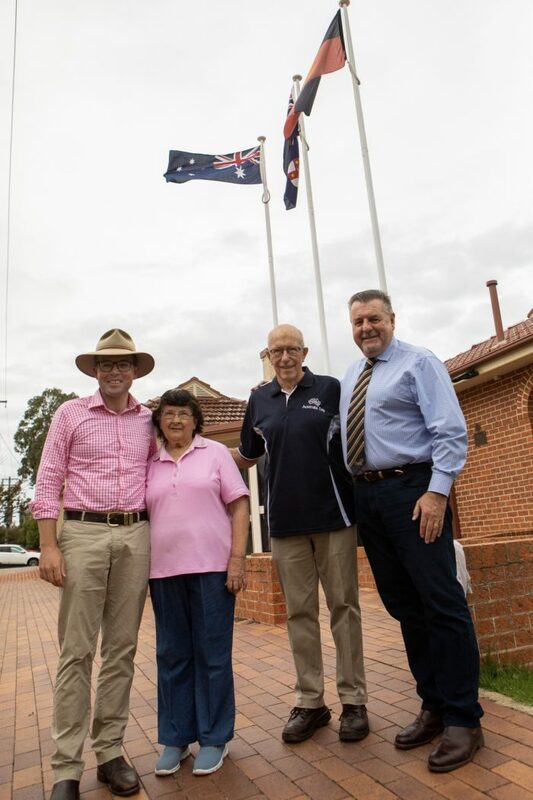 Northern Tablelands MP Adam Marshall, left, Uralla Shire Australia Day Committee Secretary Bev Niland, Vice President Peter Phillips and Mayor Mick Pearce celebrate the news of funding for the new PA system. THIS year’s Australia Day celebrations in Uralla were almost silenced when the usual portable public address (PA) system the organisers relied was missing in action. Only after a desperate ring around and calling in of favours, was a replacement system found and the day went ahead with a shout rather than a whisper. Now, thanks to a small one-off grant of $2,000 from the State Government – the Uralla Australia Day committee are guaranteed to be heard year after year. Member for Northern Tablelands Adam Marshall attended this year’s event and, aware of the last minute panic, promised to help the volunteer committee find a solution with some funding. “Volunteers on the many Australia Day committees across the state work hard for months in the lead-up to the big day, coordinating nominations for awards, arranging venues, guest speakers and other things needed to make the day run smoothly,” Mr Marshall said. “This year, I knew that the Uralla committee, led by Chris Pyros, had a last-minute emergency when their usual PA system was not available. “Eventually, one turned up from Armidale in the nick of time and the day was, as usual, a great success. The PA system will be used by the Australia Day committee and also available to other community groups as needed. Ms Niland said the funding was a welcome outcome and that a new PA system will be a much-needed community asset. “When we realised the usual system wasn’t available it made us aware of just how much a suitable outdoors PA system is needed, not only for Australia Day, but events such as Carols by Candlelight and others,” Ms Niland said.